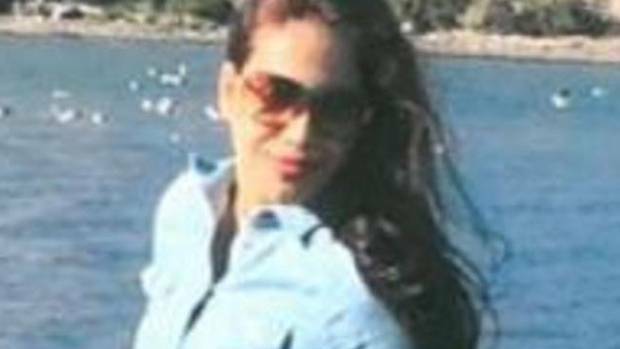 A young woman missing from the Wellington suburb of Khandallah is five months pregnant and had been upset after an ultrasound scan, her husband says. Sonam Shelar, 26, was last seen at 8.30am on Saturday on Cashmere Ave. Her husband, Sagar Shelar, and her family in India were very concerned about her whereabouts. Shelar told the Herald the couple married in December last year, and Sonam moved to New Zealand in April to live with him. They are expecting their first child together, with Sonam currently five months pregnant. Shelar said his wife disappeared on Saturday morning, after being upset about a recent ultrasound. "On November 15 we went for an ultrasound test at the hospital. She had always dreamed for a baby boy but that day after the ultrasound they were not sure if it was a girl or boy. "As soon as we got in the car she was crying and so upset because she wanted a boy," he said. The following Saturday, Shelar left for work while his wife was still in bed and on his return home she was gone. "Every day on my break I give her a call, so on Saturday at 11am I gave her a call and her phone was switched off. It has never been switched off in the whole time we have known each other," he said. "At 1pm I went home and asked the landlord if he had seen Sonam, and he said he hadn't since he got home at 10am. "Since that time I have been looking for her everywhere and I have no clue where she is. She hasn't left a note or anything." Shelar said his wife left through the front door of their Khandallah rental property, leaving the door unlocked and the keys at home. She only took $20 in cash, her two cellphones and a jacket. All her identification and her ATM card were left at home. Police said Sonam was wearing a brown jacket with fur on the hood and white, black and orange trainers. She is described as of slender build and approximately 165cm tall. "I have no idea where she is. I have searched every friend of hers and every contact she has had since she has been in New Zealand, but no one knows. She has not contacted anyone," Shelar said. "I am scared and have been looking everywhere. I haven't got any clue where she is. I haven't slept or eaten. I have just been crying and thinking about her." Shelar said he had been in regular contact with Sonam's family in India. "They just want to hear that she is back. They are very worried," he said. Sonam's cousin Gauri Rane said the family had been calling her cellphone, but it was switched off. She said family had no idea why she had disappeared or where she could be, and were all very worried. A police spokesperson confirmed this morning that Sonam was still missing and there were a number of inquiries being made to locate her. "Police have stepped up their search for missing woman Sonam Shelar, who was last seen at 8.30am on Cashmere Ave, Khandallah, on Saturday," Detective Senior Sergeant Warwick McKee said. "We have concerns for her safety and need people to keep an eye out for her. It's been cold overnight and we, like her family are worried for her safety. "The longer she is missing the more our concerns for her safety increase. We have uniform patrols out on foot from our northern suburbs checking the reserves and walkways." If you have any information that could help locate Sonam please contact Wellington Police on (04) 381 2000 urgently.